Product code: ES1670 Categories: Sold Items, Sold Jewellery. 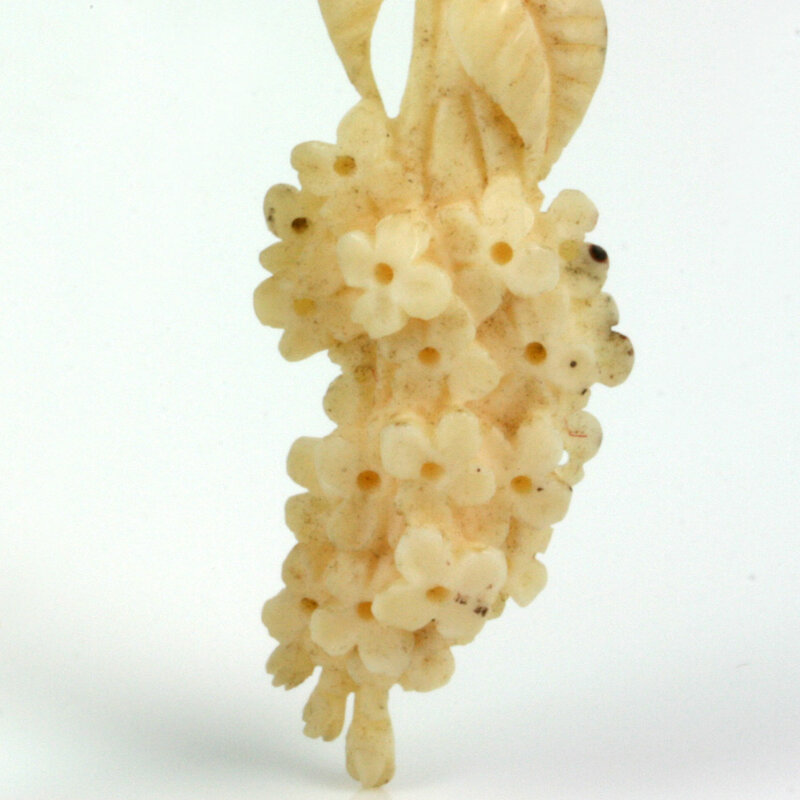 Here are some very attractive and highly detailed ivory drop earrings that will look so good on the ear. Measuring an impressive 5cm in length (plus the hooks) by 1.7cm wide, the elephant ivory earrings would date from around 1910. The length and detail of these earrings is just spectacular and will always be admired.